Clackamas quarterback Austin Atkeson passed for 225 yards and three touchdowns and rushed for 45 yards and another score, leading the No. 2 Cavaliers to a 48-0 romp over the Newberg Tigers in Friday's opening round of the Class 6A football playoffs at Clackamas High School. Atkeson threw touchdown passes of 53 yards to Richard Kennewell, 49 yards to Jalen Hammer, and 5 yards to Jake Bushman, helping propel the defending 6A state champion Cavaliers (10-0) into a second-round match-up against West Salem, a 57-28 winner over Southridge. Newberg, which came into Friday's game riding a two-game win streak, finished the season with a 5-5 record. 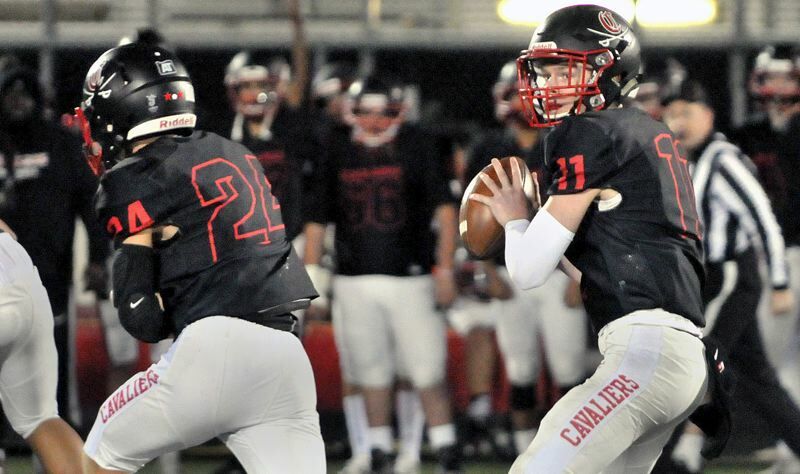 After Kennewell's 53-yard touchdown reception gave Clackamas a 7-0 lead midway through the first quarter, the Cavaliers tacked on four more touchdowns in the second quarter to virtually put the game out of reach before halftime. Caleb Jordan split time with Atkeson at quarterback and completed 2 of 4 passes for 54 yards with a 37-yard touchdown pass to Jack Dollens, and also had six carries for 36 yards with a 1-yard touchdown run. Noah Hobbs added four carries for 42 yards and scored on a 9-yard run that pushed the Cavaliers' lead to 41-0 in the third quarter. The Clackamas defense limited the Tigers to 189 yards total offense -- 159 yards rushing and 30 yards passing -- and registered its second shutout of the season. Grant Schoen had a team-high nine tackles, Kelsen Hennessy added eight, and Justice Pagan had six tackles, including two tackles for loss and one quarterback sack.